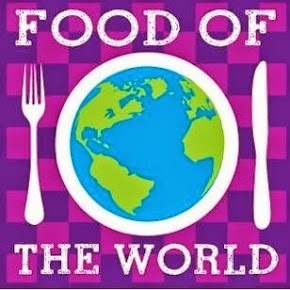 I love being part of Food of the World because I never know what part of the world I will get to explore. Samoa a group of islands in the South Pacific was chosen for this month, and I have to say quite frankly, I barely even heard of the country, other than that I knew the US had a territory in the region. Ah, the food... I was a little worried until I started looking up the cuisine. It seems that they cook with a lot of coconut and pineapple. Rice is a staple of their diet, and they do raise pigs and chickens. Beef is eaten but only canned varieties. I decided to go with the pineapple coconut idea. I made up a pineapple sauce with soy, pineapple juice and ginger. It was a hit with the kids. It reminded them of something they ate in a Chinese restaurant once. 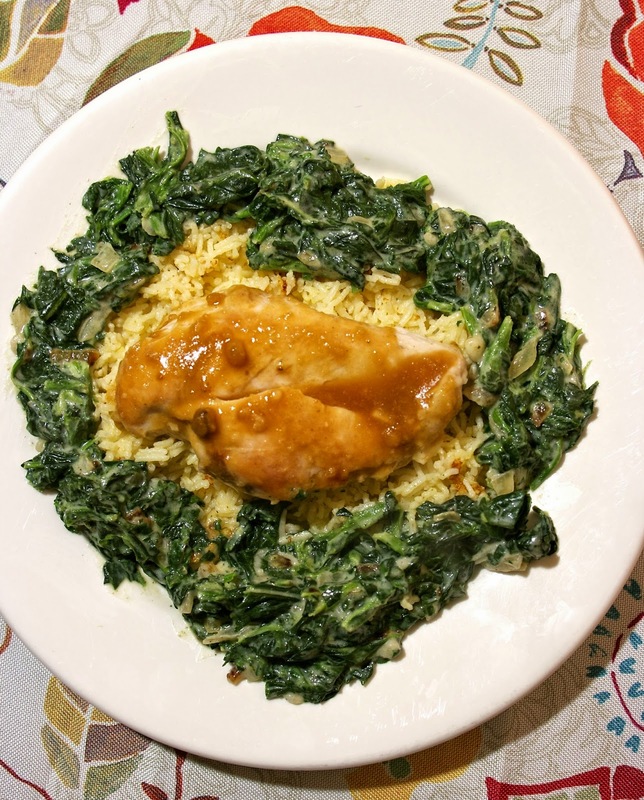 I found a really interesting Coconut Creamed Spinach recipe online that really complemented the Chicken with Pineapple Sauce. 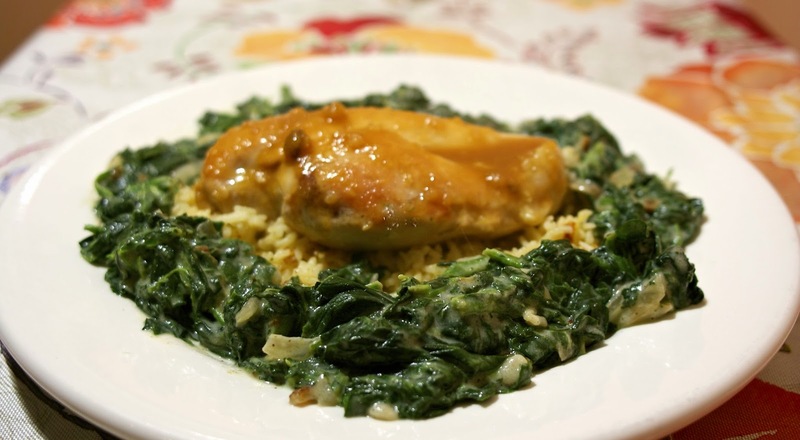 The sweetness of the coconut milk was balanced by the bitter flavor of the spinach. Samoans commonly make rice with coconut milk, but I thought that would be over kill, so I just made the rice with chicken broth. It was a really fun and different meal after all the traditional American food we have been eating since Thanksgiving. Please click on the recipes below and see what other members of Food of the World were inspired to make. If you have any recipes that go with the theme feel free to link them up. 1) Heat 1 tablespoon of canola oil in a large cast iron skillet on medium high heat. 2) Whisk together: pineapple juice, soy sauce, ginger, garlic and a little salt and pepper. 3) Dry the chicken and lightly salt it. Cook about 4 minutes per side covered or until center of chicken is no longer pink. 4) Remove chicken. Add a tablespoon of canola oil and scrap the pan with a spatula to get up any chicken bits. 5) Add saute garlic for about 1 minute. Add flour and whisk around until it slightly browns. 6) Add pineapple juice mixture to skillet and turn heat up to high. Whisk the flour until it blended and the sauce begins to thicken. Remove from heat. 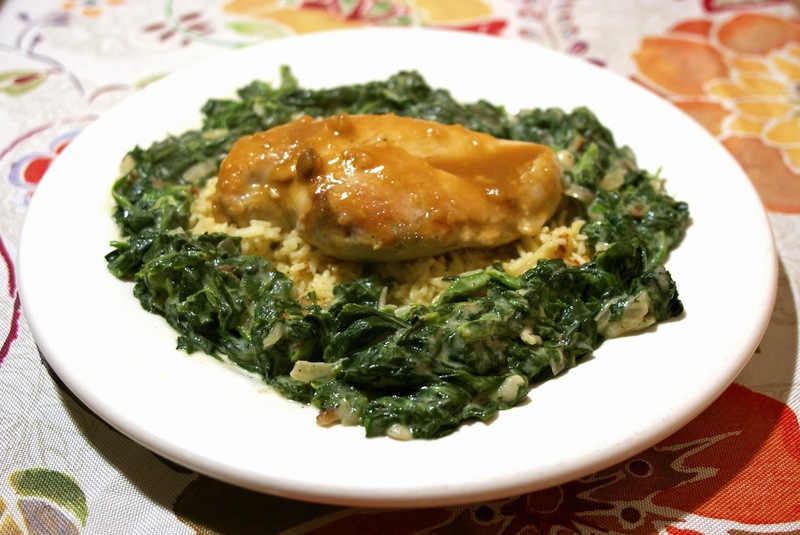 7) Pour sauce over chicken and serve. Join us next month when we visit Turkey on January 13th. Sign up for the mailing list and I will let you know when the party is live. The sauce sounds amazing Diane. Well this is not for me, but it looks wonderful and I'm pretty sure my family would looooooooove this sauce!! I think the sauce would be delicious over tofu. The chicken with the pineapple flavor sounds amazing together! Thank you so much for linking up at Tasty Tuesday! Your recipe has been pinned to the Tasty Tuesday Pinterest board! Please join us again this week! I love trying foods from different parts of the world. The sauce sounds good!